Jennie Booth Lane (Sarah Jane) was born the 25th of February, 1855, at Leigh, Lancashire, England, a daughter of Richard Thornton and Elsie Edge Booth. Her parents were early converts to the Mormon church and on March 28, 1857, they with their four small children embarked at Liverpool on the sailing vessel, George Washington, bound for America. They arrived at Boston Harbor on April 30. They continued by rail to Iowa City, where they purchased a wagon and two yoke of oxen and started that part of their journey which was to take them to the fulfillment of their dreams. The company was comprised of 817 men, women and children with Jesse B. Martin in charge of the company. The advance across the plains began in early June. The wagons were guarded by riflemen who walked beside them. The company encountered no hostile Indians, but on August 3rd they had travelled to the north side of the Platte river and were 36 miles below Laramie, Wyoming when 11 head of cattle were lost in a stampede. When the animals became frightened, little two-year-old Jennie was in the wagon alone. The oxen plunged forward with the rest and the baby shouted with glee. Men on horseback raced forward to avert a catastrophe and when they finally stopped the cattle and reached the baby, she was still laughing but to the father or to the mother, heavy with child, it was no laughing matter. By August 30, the company had reached the Big Sandy River in western Wyoming. 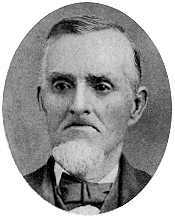 They camped for the night and before dawn, a baby boy was born to the Booth family, who was christened Robert Ebenezer and is the father of Relva Booth Ross, Utah County auditor of the Daughters of Utah Pioneers. On September 12, the company reached Great Salt Lake City where the Booths spent the winter and the following spring. This was the year of the "Move." Later, they went to the little town of Alpine, where Richard Thornton Booth played a prominent part in that part of the Lord's vineyard. He was a teacher for 18 years, a member of the City Council, Justice of the Peace, and held the office of City Recorder for twenty years and was the official "doctor" throughout the entire north Utah County. Elsie Booth was equally active, also teaching school and was made president of the ward Primary Association, holding this position as long as she lived. Richard Thornton and Elsie had left England with four children and another on the way. Elsie, rather timid and superstitious, was sure the baby she was carrying would be "marked" by the fact that Indians were seen frequently on the journey. The first four children had black eyes and hair and how the new one could have darker eyes, no one could say. The new baby, a boy, born somewhere in Wyoming about the last of August, was the only one of her ten children who could really be called a blonde with blue eyes. In Richard's diary was this notation: "Elsie gave birth to a baby boy last night and the company was not delayed for an hour." 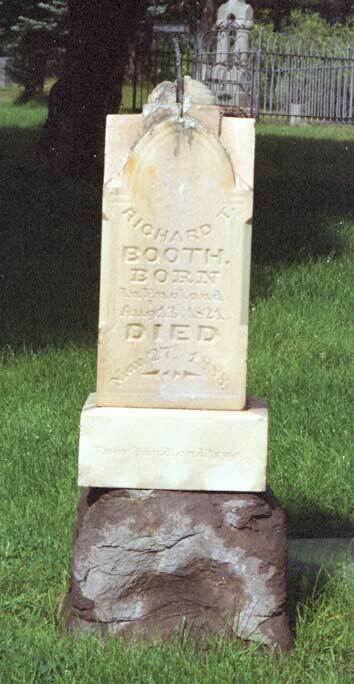 Grandfather Richard Thornton Booth did all the doctoring and dental work for the people of Alpine for years, without pay. He was the town clerk without pay for many years and when it was decided to pay a salary, the job was given to someone else. Alfred Lewis often worked for people who were unable to pay, and when he did charge, it was about half of what other lawyers charged. Elizabeth Souter once took some work to him which involved a number of other people. When asked what the fee was, Father said, "Oh, about ten dollars," and Elizabeth spoke up and said, "Each." Father did not object, but would not have charged that much himself.